Available on Kindle March 1, 2017. Pre-Order available now on Amazon! 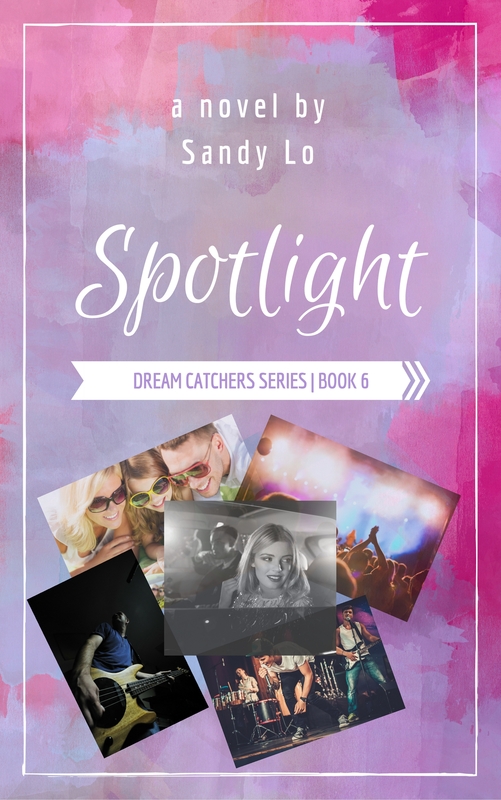 “Spotlight” is the 6th book in the “Dream Catchers” Series and is from the perspective of photographer Haley Foster and rock star Jordan Walsh’s daughter, Aylin. Aylin Ashton always had a voracious heart and is fiercely loyal to the ones she loves. At twenty-one, she wants more than the celebrity lifestyle her family is known for—she wants an identity of her own with friends who care about who she is and not her last name. Most of all, Aylin wants the love story her parents have. In a world full of divorce, and a society that has made it hard for her to be “normal”, she is not sure if true love can be her reality. She finds herself struggling to grow romantically and keeps hitting a dead-end with men. From the egotistical pop-rocker Rad Trick to hipster music critic Mike, Aylin is not particularly gaga for either of them, and can’t help to pine for too-old-for-her, Colin Houlihan, who happens to be her father’s tour manager. The impetuous Aylin can’t help but make passes at the flirty, always doting on her Colin, and when he actually admits an attraction to her, the two are on dangerous ground. The experience leaves Aylin wounded, but ultimately sends her on a journey to find out who she is and what she really wants, and maybe to the special someone she had hoped for. ← DWTS' Maksim Chmerkovskiy Plans to Live to 120 and Here's How!